Samsung launched the Galaxy A9 with the world’s first quad lens rear camera. 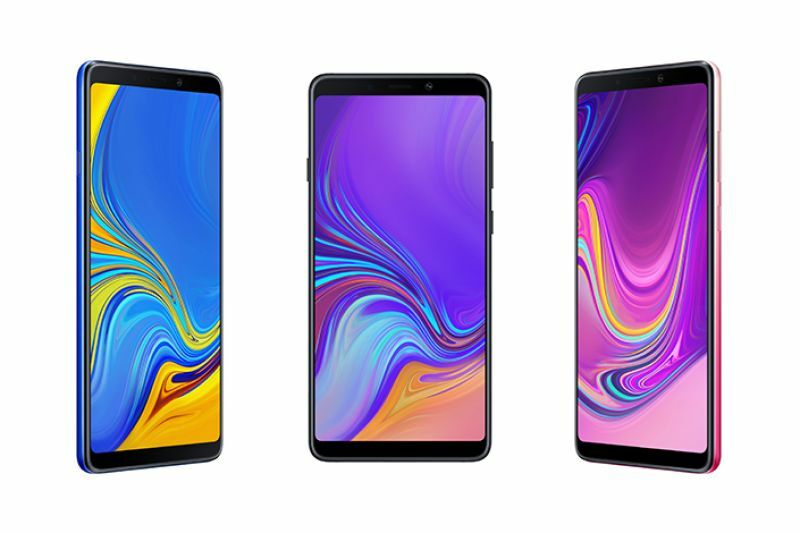 Samsung unveiled its latest smartphone, the Samsung Galaxy A9, that features the world’s first rear camera with four lenses. The Galaxy A9 promises to be Samsung’s first new mid-range strategy to bring new features to its phones first. In September Samsung mobile CEO DJ Koh had announced that Samsung would kick off a ‘mid-range first’ strategy that would see it deliver “technology and differentiation” to its Galaxy A lineup ahead of its flagship Galaxy S and Note range. The Galaxy A9 is definitely a step up from its A7 model which was the company’s first triple lens. A number of competitors, including Huawei and LG, have also released triple-lens cameras on their phones. Last week the firm released their Earning Guidance predicting that they will be on track to score record profits in the third quarter. Earlier on the company struggled due to the slowing global smartphone market. Business dropped to 34% from the previous year. There is also an increasing competition from rising competitors such as Huawei, Xiaomi and ZTE. 6.3 inch full HD AMOLED display that is Edge to Edge but with narrow bezels on the top and bottom. The phone will be powered by an 8 core processor consisting of a 2.2 GHz quad-core CPU and a 1.8GHz quad-core CPU. It has a battery of 3.800mAh battery life that supports fast charging. It comes with a storage of 64 GB and 128 GB with an inclusion of up to 512 GB expandable memory. Many watchers of the company were also anticipating the unveiling of its quad camera. Leaks emerged showing a picture of the phone’s rear on Wednesday. The camera is arranged vertically on the left-hand side, adjacent to the fingerprint scanner. With the inclusion of all the 4 rear cameras, it is a total of 47 megapixels. The top camera is an ultra-wide lens for long shots with a scene optimization and AI-powered scene recognition. It has an 8 MP lens offering up to 120-degree viewing angle. It has a telephoto lens with 2x optical zoom for detailed close-ups. It has 10 Mega Pixels lens. It includes a depth lens aimed at letting users manage a photo’s depth of field and focus of 5 megapixels. The selling point of the camera is that the photographer is able to alternate between different lenses that enable specific features such as the photos taken from a long distance or panoramic shots. The Samsung Galaxy A9 will be shipped with the Android Oreo 8.0 with the inclusion of three various colours: Caviar Black, Lemonade Blue and Bubblegum Pink. “We’re excited to deliver on this promise and debut world-leading smartphone camera technology with the Galaxy A9,” Koh said in a statement. It is said that the Galaxy A9 will be priced above Rs 30,000 in the premium segment. Samsung said the phone will be available in select markets from November. Previous articleWhy Is the Indian Rupee Losing Its Value ?